When you choose a patron saint, you bear their name. Naming and name changes play a significant part of biblical history. Abram is changed to Abraham. Sarai to Sarah. Jacob is changed to Israel. The Apostle Peter from Simon. Many early Christians took the names of martyrs. The man who murdered Saint Matthew the Apostle, when he became a Christian, took the name of Matthew. 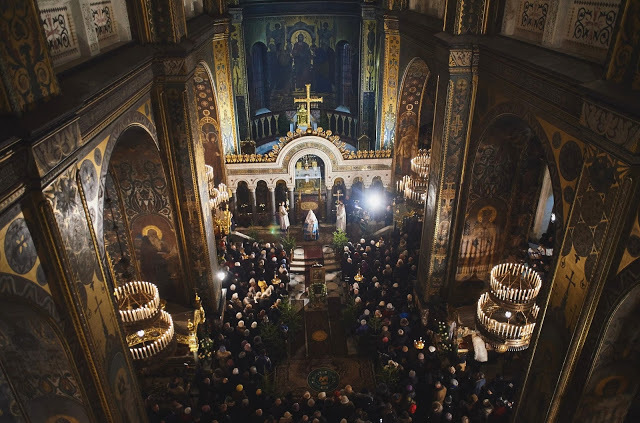 When the Orthodox are baptized as children or adults they take a name of a saint. 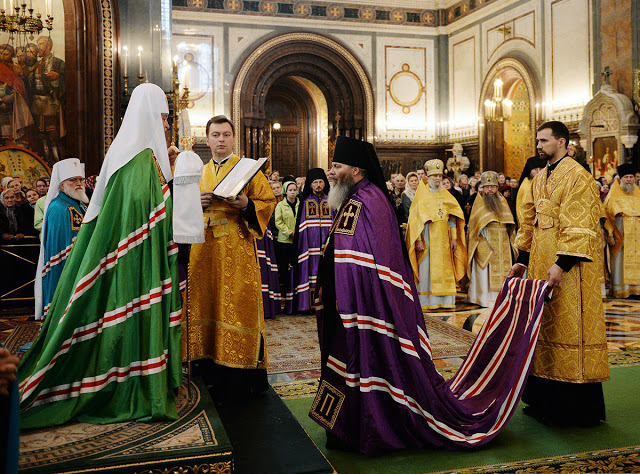 When an Orthodox Christian becomes a monk, a new name is given at that time as well. In the life after this one, we are told we will be given a new name still (Revelation 2:17). We do this to honor the saints, to remember their sacrifice and example. It unites us to the ancientness of the faith through their personhood. 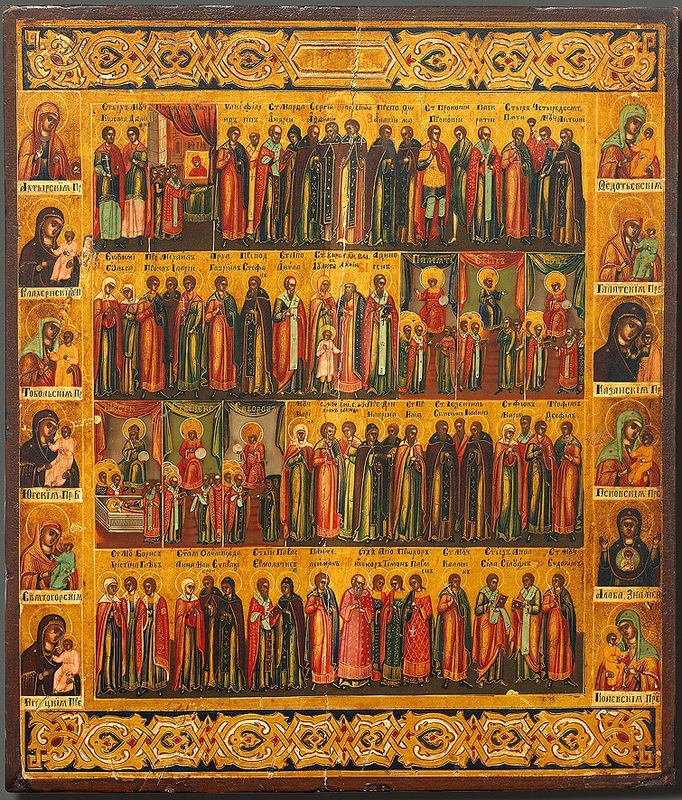 Beside walking into a parish and seeing the icons of the saints lining the walls being a physical representation of that “great cloud of witnesses”, we pick one saint amongst them all and keep them close to us. We pray with them as we might pray with those still on this side of the eternal. As Paul instructed the faithful to follow after his example, we also try to follow the example of those faithful servants of God who have already carved out a path. With patron saints also come name days. A name day is the day one’s patron saint is honored. I will celebrate Saint Nicholas’s name day on December 6th and Laura will celebrate Saint Bathildis’s name day on January 30th. A name day is considered to be more important that one’s own birthday as it represents one’s baptism. If possible we will attend a service at church, have some sort or celebration at home, reflect on their example and try to do likewise. There are various ways in which one takes a saint’s name. It is common for converts to take a name of a saint whose name they already share. A person named Andrew will choose Saint Andrew. Someone named James might choose Saint James. It is also common to choose a saint that is nothing like your name. Sometimes a saint will be honored by the baptized’s middle name. I have some friends who no longer go by the name they were born with and I have only know them by their baptismal name. 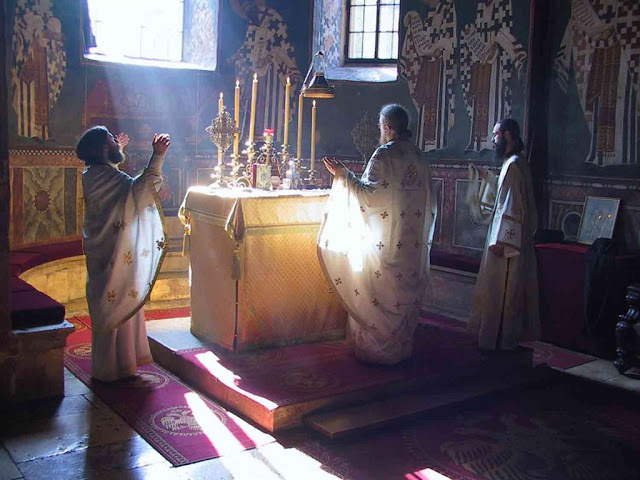 In Serbian churches, there is a patron saint for the entire family rather than for every individual. 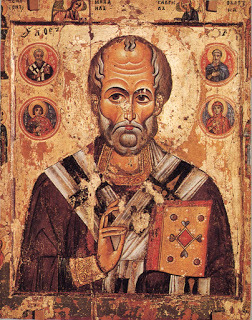 I chose Saint Nicholas because of my love for Christmas and his association with the season makes Nativity all the more richer. Also, for his charitable works, his love for those in need, and his concern for those who are treated unjustly. Most importantly, I would like to gain the wisdom to know when to be genteel in regards to my faith, and in the example with Arius, to know when to be unwaveringly firm. In her previous post, Laura gives her reasons for choosing Saint Bathildis.